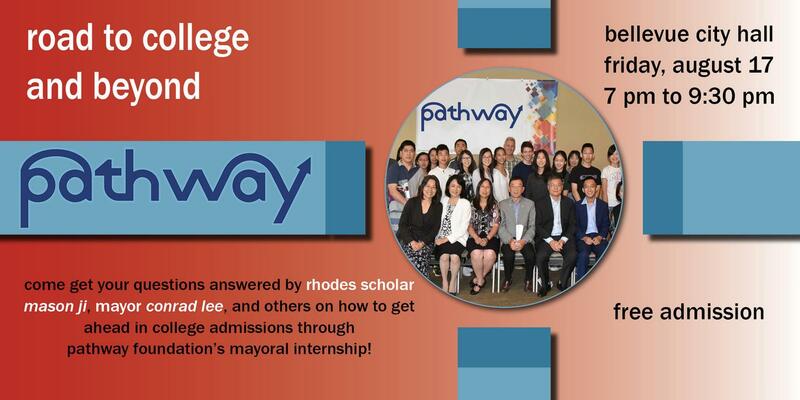 Pathway Foundation is a 501(c)(3) non-profit organization in Bellevue, Washington, with the goal of promoting civic engagement and activism among Chinese-Americans in the local community. We believe that the future of the world is in the hands of the youngest generation. To promote civic engagement and activism among the youngest people in our community, we seek to develop and grow a new generation of leaders to be ready for success in the modern world, by providing and training students and young leaders with hands-on opportunities, in the form of community projects. The Pathway Foundation trains interns with mission-based objectives to seek and enact real change in their communities, learning important skills such as outreach, management, organization, and planning. This practical experience develops the ability for civic engagement within an up-in-coming generation of leaders.